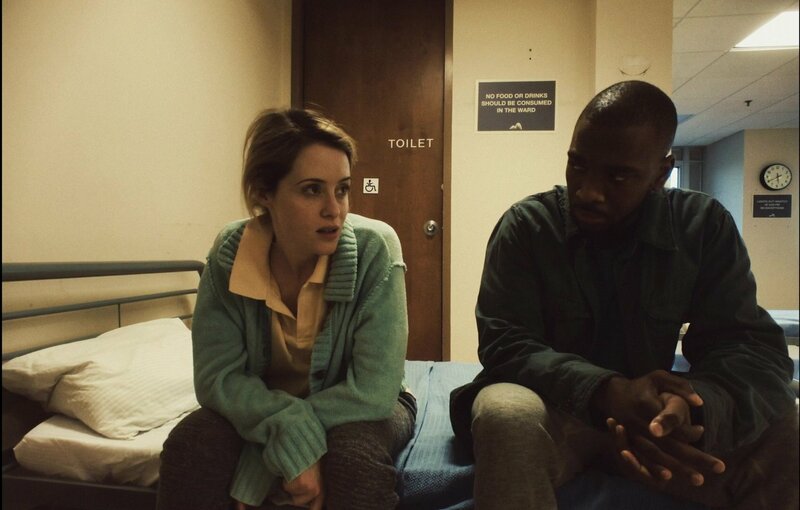 A woman is committed to a mental institution against her will and has trouble convincing those in charge that she isn't crazy...or is she? 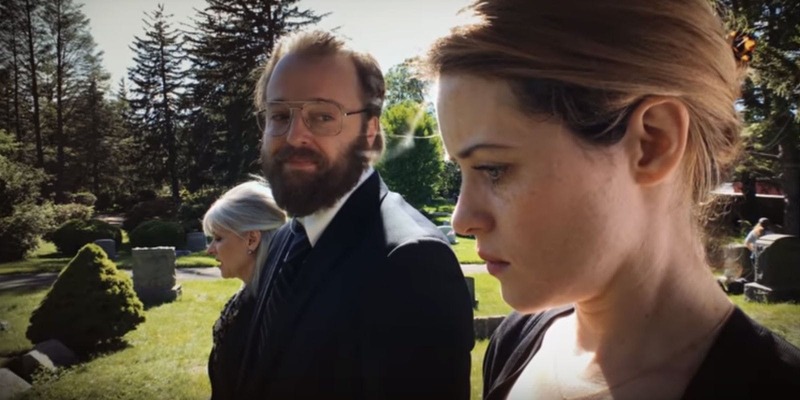 "Unsane" is a movie that all aspiring filmmakers should see, not because of its story, the acting, or the directing, but because it was shot entirely on an iPhone. This proves if you have a halfway decent smartphone and a story to tell, you have all the equipment you need. Make your movie. "Unsane" is directed by Steven Soderbergh, who has directed films like the "Ocean's Eleven" trilogy, "Traffic," and "Erin Brockovich." It is written by Jonathan Bernstein and James Greer, who have written films like "Just My Luck" and "The Spy Next Door." It stars Claire Foy as Sawyer Valentini, an ambitious career woman who has a bit of tragedy in her past, one she is trying to escape. She sees a psychiatrist to help cope with her issues and makes the mistake of mentioning that she has had suicidal thoughts in the past. Her psychiatrist puts her on an involuntary psychological hold and has her committed. Sawyer tries to convince the asylum she is sane and is not a danger to herself or to others, but the stressful situation starts to make her look crazy. In turn, we cannot be sure if Sawyer is actually mad, or if she's the only sane person in an insane and corrupt system. For the most part, "Unsane" is an engaging psychological horror/thriller. Director Steven Soderbergh does a good job playing with the viewer's perception of this situation. We want to believe Sawyer is sane, but we start to question whether or not she is. As we watched this, we were met with a debate as to whether or not Sawyer is paranoid, is hallucinating, or is being gaslit by those who are meant to be taking care of her. We question if the hospital has her best interests at heart. We wonder if they exploiting her for other purposes. Speaking of which, there is also an underlying plot about the corruption that exists within the mental health profession. It is easy to understand how these instances come about and can be exploited. While it can all be very intense at times, it also raises red flags about the broader issue of not believing women when they speak out about something that's wrong. This makes the film a little ill-timed...or perfectly timed considering those who don't listen are villains. It doesn't feel like that was the intent, but it's a running theme that shouldn't go ignored. It makes us wonder what would we do in similar situations. Any sane person may start to act a little crazy if imprisoned against their will in what's supposed to be is a safe environment that turns out to be anything but. There is a lot of tension and excitement throughout its runtime, though it does lose its way in its entirely predictable third act. 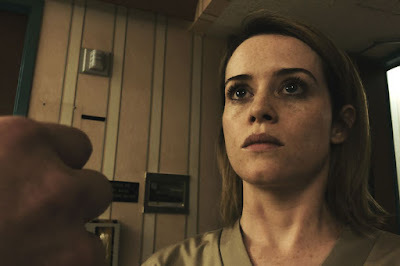 Overall, "Unsane" is a well-made film. The shots have a different type of look because it was made on an iPhone, though this type of visual aesthetic actually lends itself well to what can be a surreal film. Claire Foy does a decent job as the lead character, but her accent slips quite a bit, and we found it to be pretty distracting. We wound up enjoying this film for the most part and think it is an interesting watch. While the story is mostly intriguing, we wish it had capitalized on the "corruption that goes on in institutions" aspect a lot more. 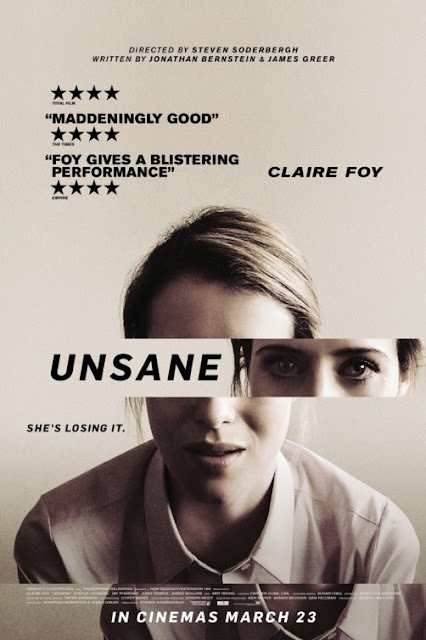 Technically speaking, "Unsane" shows how much a person can do with just the phone in their pocket.